A cheque worth €5,000 was presented to Brendan Ring, Cliona’s Foundation by Cathal Treacy, President of Limerick Chamber. 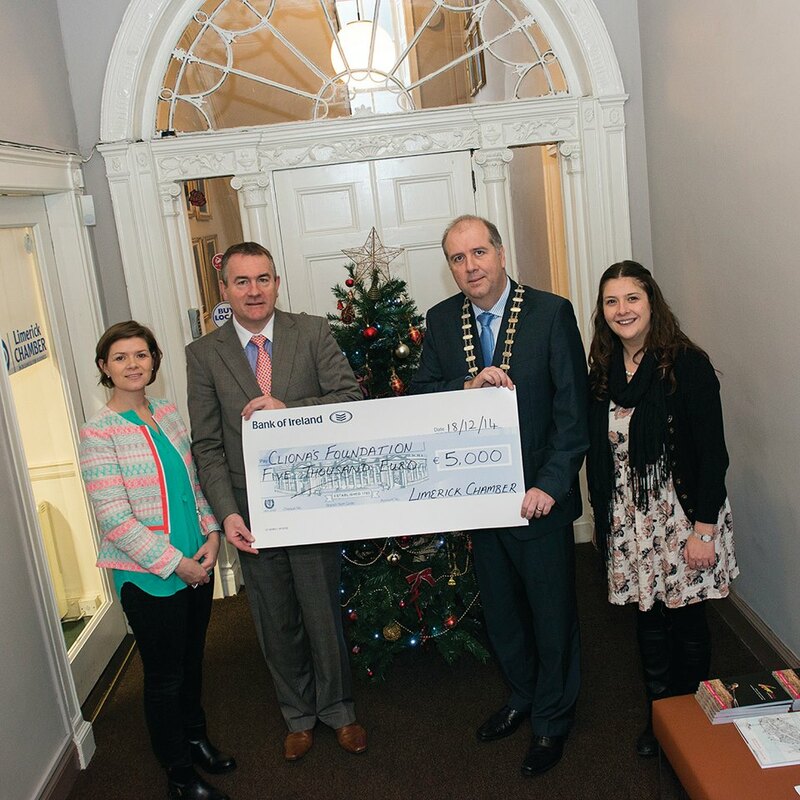 The money was raised through contributions to a raffle by guests at the Limerick Chamber President’s Dinner in November. “I would like to thank Cathal Treacy for choosing Cliona’s Foundation and the Chamber’s members and guests who so generously supported the raffle. This donation will allow us to provide a better quality of life for some families,” he concluded.